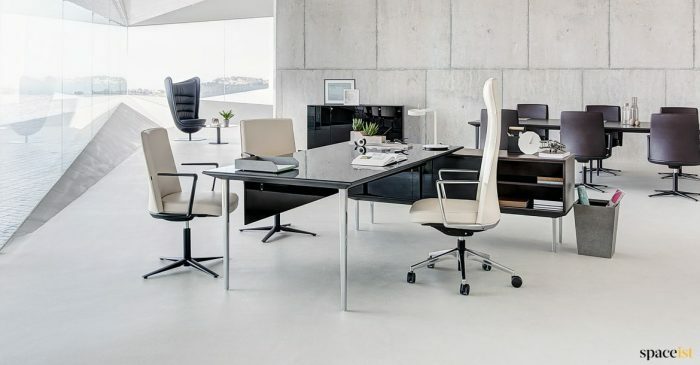 Investing in executive level furniture keeps your valued directors and senior management happy, productive and ready to make the right impression. 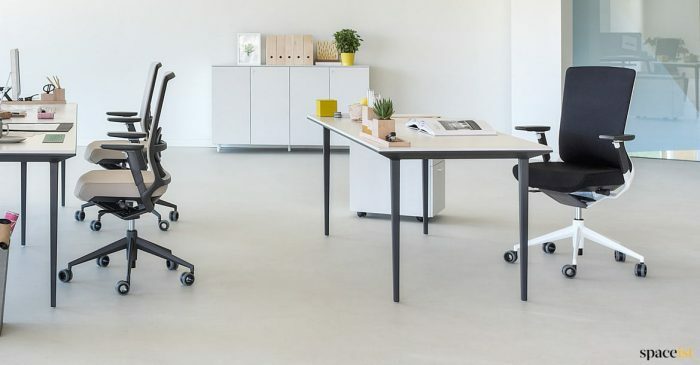 Our executive desks and corner desks are of the very highest quality, with modern refinements like electronically height adjustable workstations and integrated storage, plug sockets and full cable management. 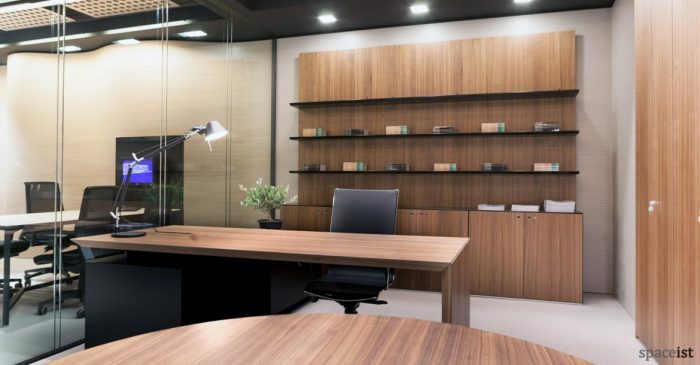 Luxurious, hard-wearing executive desk finishes include leather, oak and walnut wood, or sleek and stylish glass. 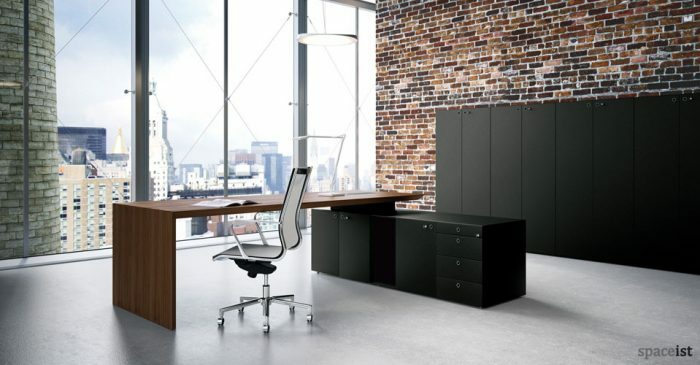 Executive desks can be customised to your exact size and colour requirements so there’s something to suit even the most demanding standards. 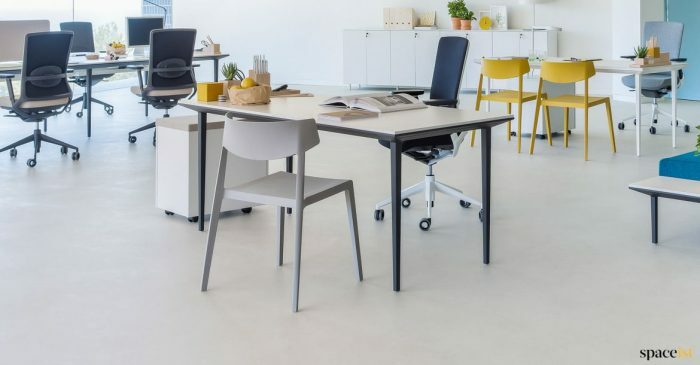 We offer a wide range of equally high-quality matching leather chairs, meeting tables and storage options for a complete management office furnishing solution. 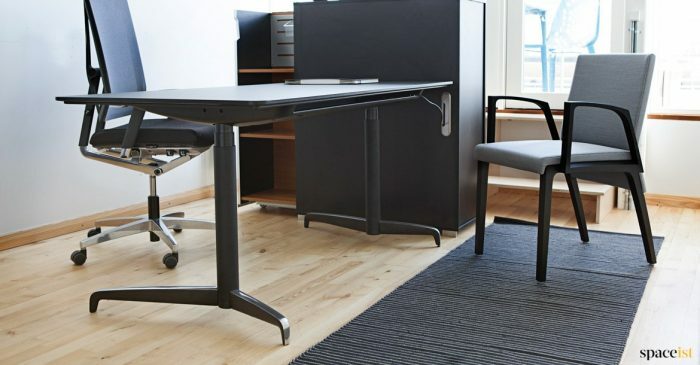 All of our executive desks are made in the EU and come with the added comfort of our 5 year warranty. 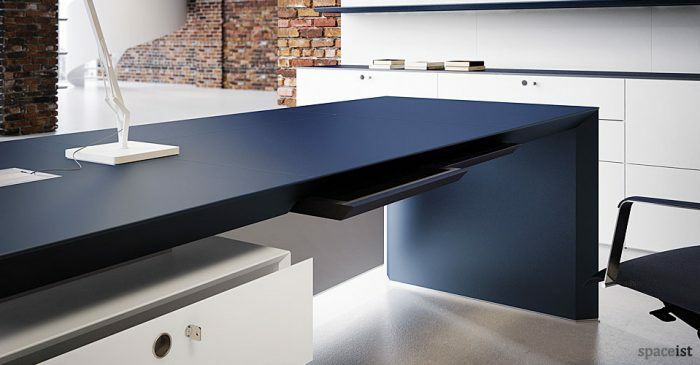 Executive desk shown in blue leather. Leather colours include white, sand, red, brown, dark red, dark brown, black, cream & grey. 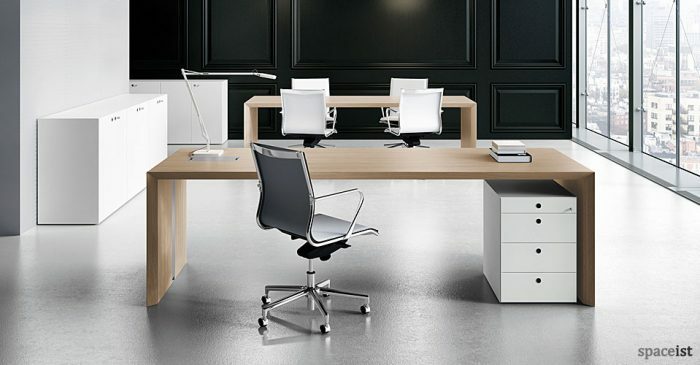 Elegant executive desk in white, sand, red, brown, dark red, dark brown, black, cream & grey leather. 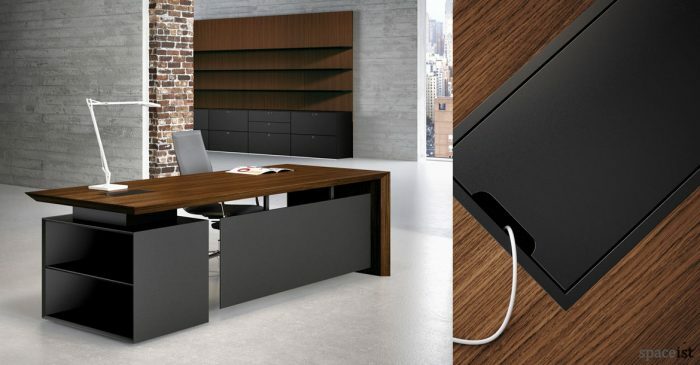 Executive desk in walnut veneer with integrated cable management. 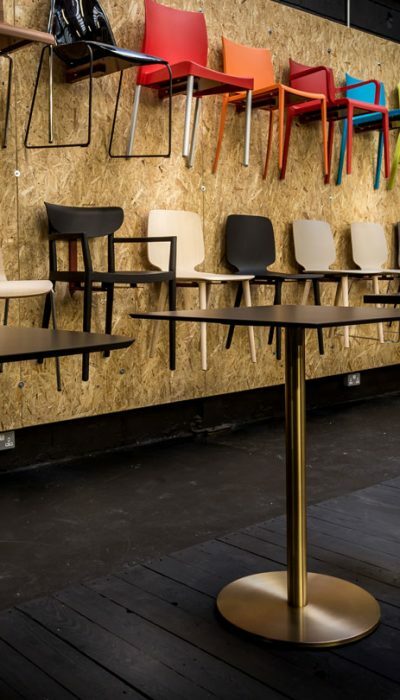 Matching storage & meeting table. Executive desk in oak veneer with integrated cable management. 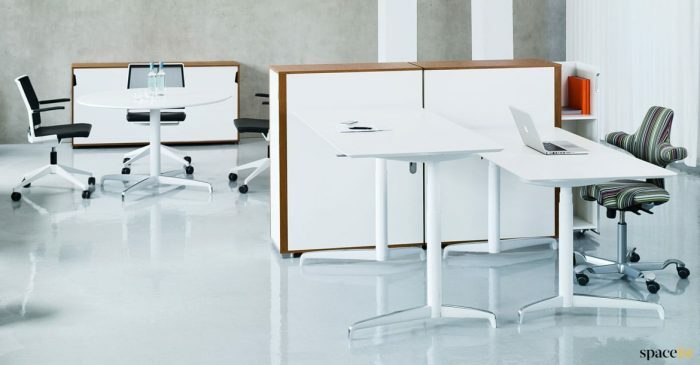 Matching storage & meeting table. 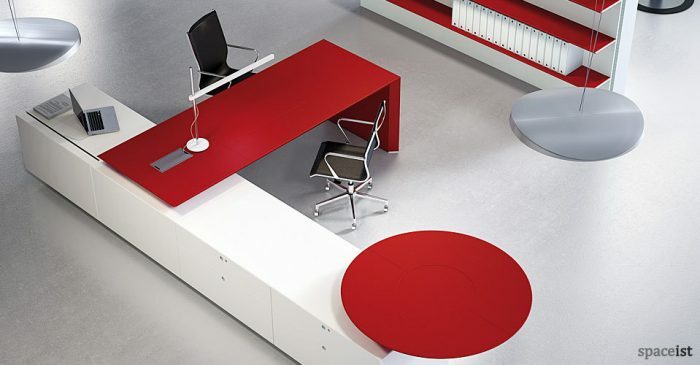 High end executive desk in red leather. 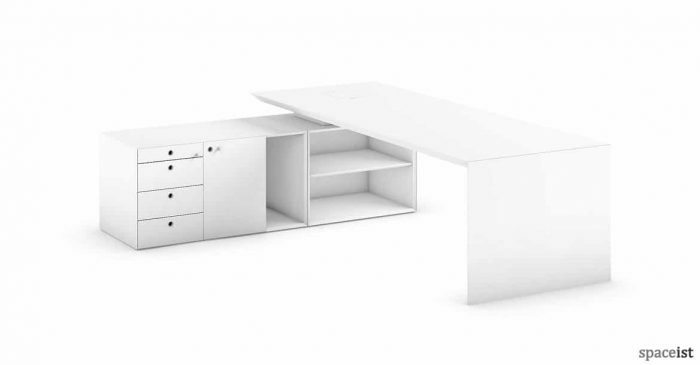 Integrated aluminium cable hatch and channel with white office cabinets. 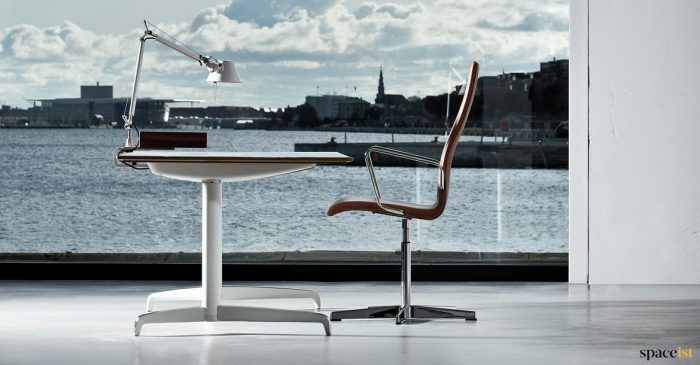 Leather executive desk in white, sand, cognac, red, brown, dark red, dark brown, black, cream, grey, orange & blue. 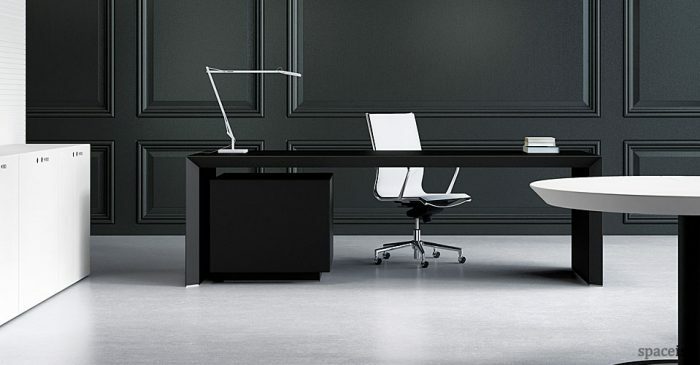 Large directors desk comes in black, white, grey or oak. Desk includes full cable management. 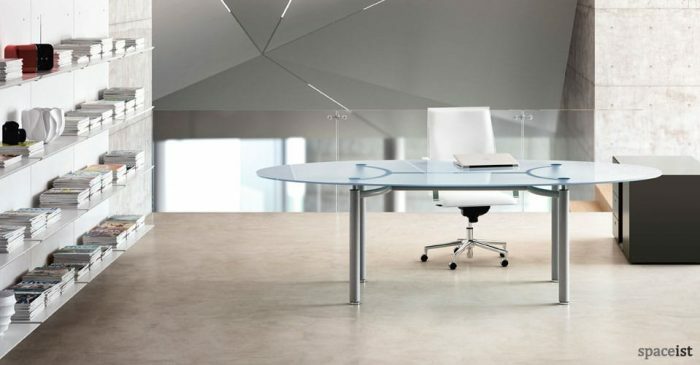 Executive white corner desk. 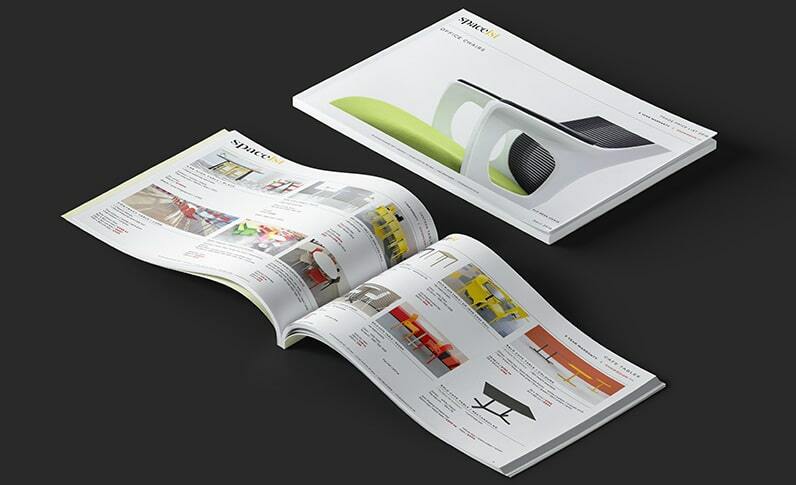 Colours include white, grey, oak or walnut. Perspex and solid screens with integrated cable tray. 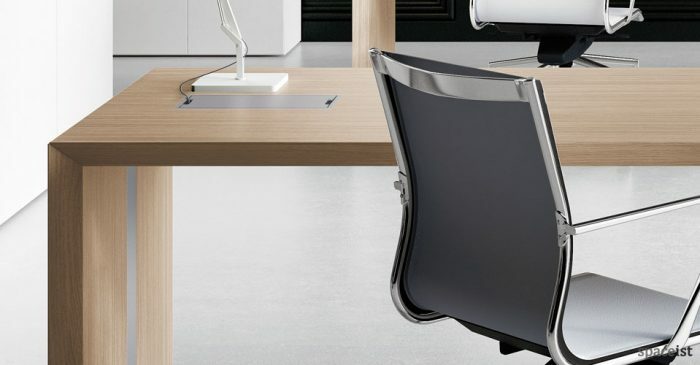 Executive style electronic or manual adjustable desk. 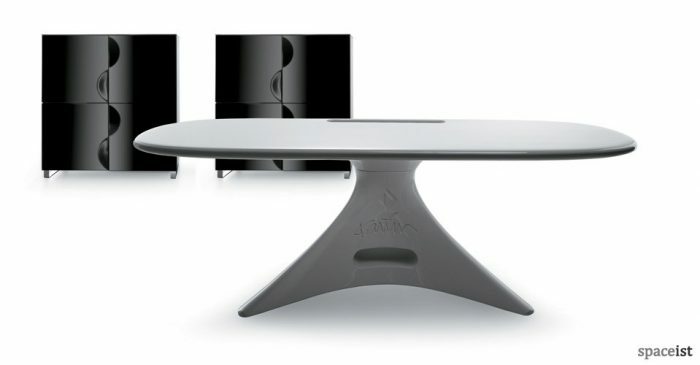 White or black base. 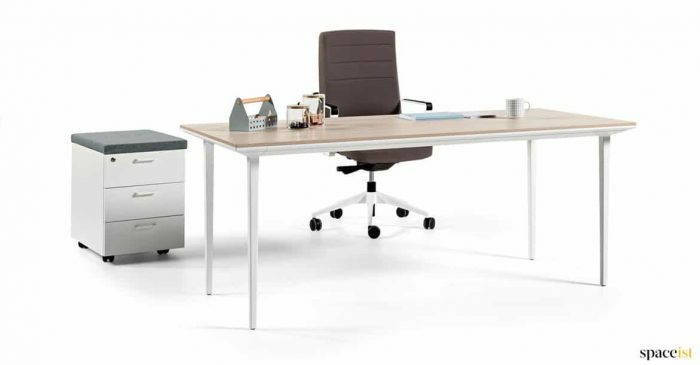 Silver executive desk with green Hi-line cabinet. 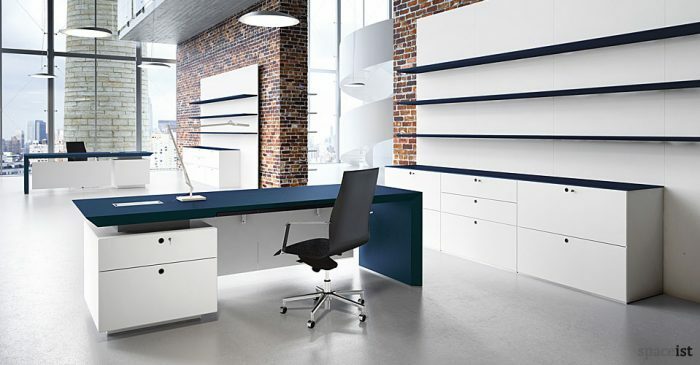 Desk can be finished in over 60 RAL colours. 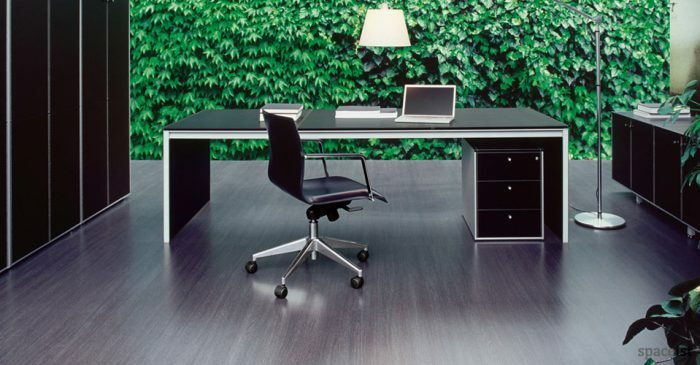 Designer executive desk with a black, white, silver or polished aluminium leg. 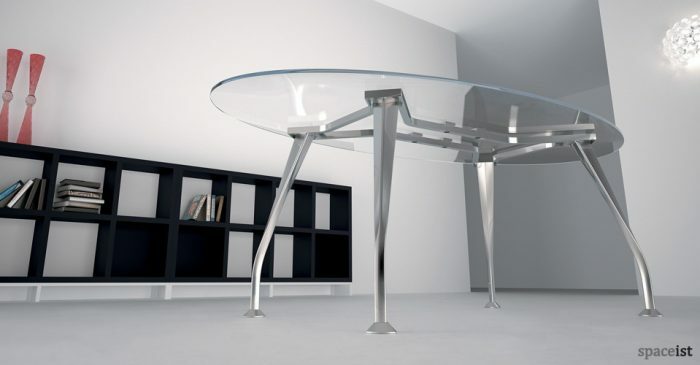 Top comes in white, oak, chestnut, dark oak or glass. 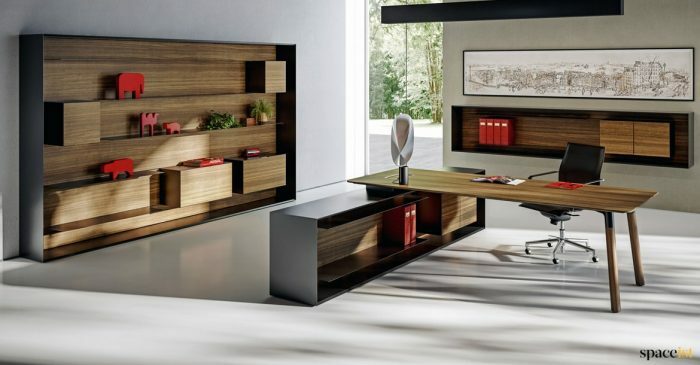 High quality executive desk in light oak veneer. Integrated aluminium cable hatch and channel. 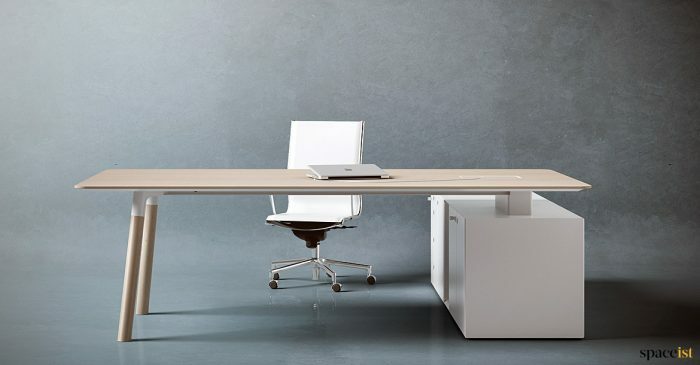 New executive desk with a solid wood leg, veneer top & full cable management. Corner executive desk in walnut veneer & solid wood leg. 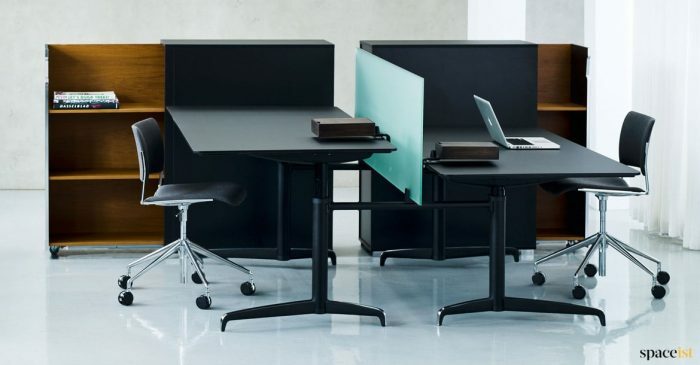 The desk can be free standing or supplied with matching supporting storage. 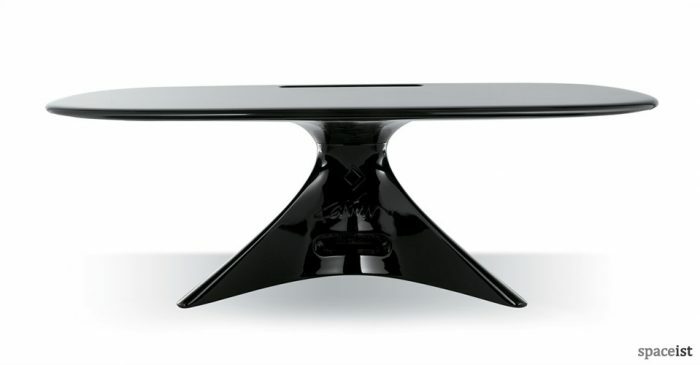 Organic curvy executive desk in glossy white, black, blue, lime green, yellow and pink. Integrated cable management.